Monday - Saturday: 10.00 AM TO 7.00 PM. Drishti Eye Care & Research Centre, Patna, in its pursuit to provide eye care services offering a wide spectrum of expertise and latest equipments enabling one to treat and manage a panorama of eye diseases involving both anterior and posterior segments of the eye. It has specialty in Cataract, Glaucoma, Vitreo-retina and Retinovascular, Squint, Orbital diseases and Oculoplasty, Cataract & Intra-ocular surgery. Drishti Eye Care & Research Centre, Patna is fully committed to research, diagnosis, and treatment of eye related diseases and take utmost clinical care of patients with tender care. At Drishti Eye Care, we believe in quality treatment. Hence, we entrust your health in the hands of some of the most experienced doctors ranging from various specialties. Glaucoma affects the optic nerve that results in vision loss and is frequently characterized by rise in intraocular pressure. Includes a group of procedures performed in the posterior segment of the eye involving the vitreous humor and Retina. Squint is an ocular condition where the eyes look in different directions. If left untreated, vision in deviated eye deteriorates. Oculoplasty is the cosmetic, corrective, and reconstructive surgery of the eye. It is related to the tissues surrounding the eye. LASIK is a type of refractive surgery for the correction of myopia, hyperopia, and astigmatism. Phacoemulsification is modern cataract surgery in which is used to crack & emulsify the opaque lens of the eye. Phacoemulsification when performed through 1.8 mm incision is called micro phaco. A lens is implanted through this incision. Ultrasonography is a diagnostic imaging technique based on the application of ultrasound used to see internal body structures. Fluorescein Angiography is a technique for examining the circulation of the retina and choroid using a fluorescent dye and a specialized camera. OCT Scan is the latest advancement in imaging technology. It employs light rather than sound waves to achieve higher resolution images. A patient may present with optic nerves that are suspicious for glaucoma but may have full visual fields. In early glaucoma, only the optic nerve is affected. OPD Scan III combines three advanced technologies plus wavefront analysis - in one easy-to-use refractive diagnostic workstation to evaluate your patient. The Pentacam is a sophisticated multiple purpose device for evaluating all aspects of the cornea. It takes careful 3D images of the front of eye. Lasers are machines that amplify light rays to the point where they can be useful for many different applications. It can be used for different reasons. Specular microscopy is a noninvasive photographic technique that facilitates rapid and accurate diagnosis of corneal endotheliopathies. Ultrasound biomicroscopy is a type of ultrasound that makes a more detailed image than regular ultrasound. It is useful in glaucoma, cysts and neoplasms of the eye. A perimetry test (visual field test) is a method of measuring an individual’s entire scope of vision, that is their central and peripheral (side) vision. 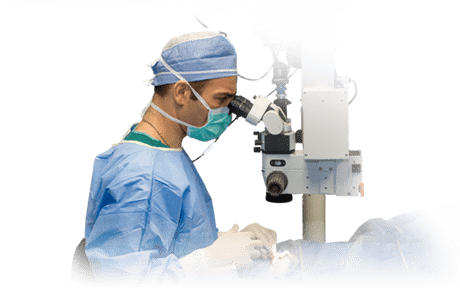 A Yag capsulotomy is a special laser treatment used to improve your vision after cataract surgery. It is a simple, commonly performed procedure which is very safe. We entrust your health in the hands of some of the most experienced doctors ranging from various specialties.